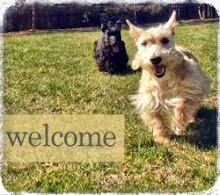 I became a Scottie Mom in April 2010. When Mr. K entered my life, I had no way of knowing what adventures he had in store for us and just how much he would help me grow into the person I am today. It is funny how Scotties have a way of rescuing their Scottie Moms and Dads even though the opposite was intended. When I met Mr. K, I was embarking on a journey of my own and was looking for a partner in crime. And once I found him, I knew I could never let him go. The year 2010, without a doubt, was one of the best I have had yet. Only 23, I had a lot yet to learn and Mr. K was there to see to it that the two of us got through the ups and downs together. That year, we broke out of our shells (Mr. K wasn't always so boisterous, you know), dealt with a number of conflicting personalities - on the human and the canine front - and came out on top when life events left us at our worst. I came to Mr. K's aid when he had been abandoned and he later came to mine when the table had been turned. They say that if you look close enough, you can see a resemblance between a dog and its owner. In many ways, Mr. K is my soul mate: loyal to the core, unbelievably stubborn, proud and yes, at times, a little mischievous. I believe the same is true for Miss Heather and her Scottie Dad, whether or not he chooses to acknowledge it. Both are loving and they wear their hearts on their sleeves, easily making friends and winning over crowds. How these two small, 20-something pound dogs can have such a big impact on my world - so much so they have their own blog, I'll never know. What I do know is that years ago, I was compelled to adopt a dog instead of a cat (I'm sure Mr. K willed that decision to happen considering his distaste for the creature!) and I haven't looked back since. 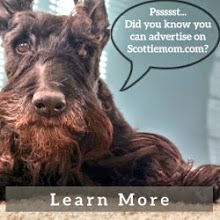 After all, once a Scottie Mom...always a Scottie Mom. And it is all thanks to you, Mr. K.
Yay! Congrats to both of you! I gotta say that it's been over 10 years ago, They found me. They agreed to have 2 dogs, one chosen by each. He insisted on a terrier, (Westie, Cairn or Scottie preferred) that really needed a home. He found me (first one He met) and went through hoops to get me (She asked if I were the one, and He said "YES"). She got a non-rescue Westie (She found and Her choosing). Now, She needs a Scottish Terrier in Her life. 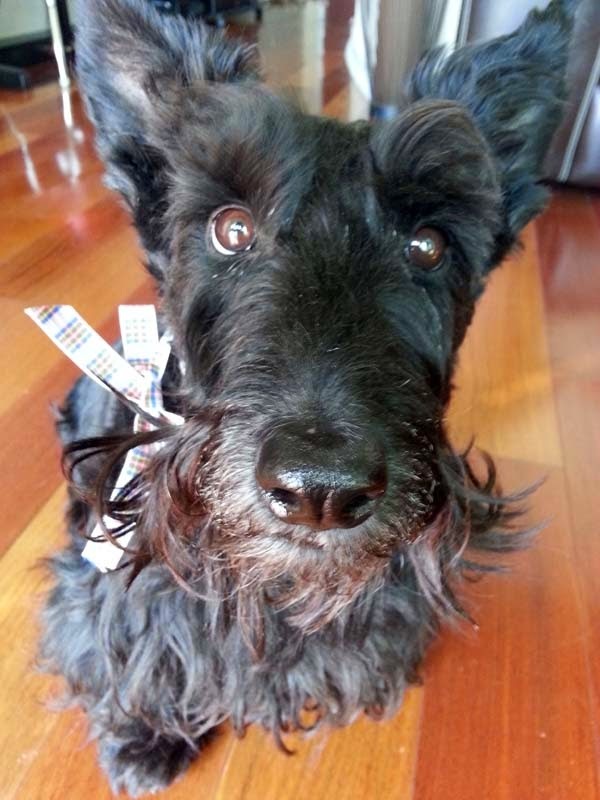 I'm not in good health and I'm old but They're looking for a Scottie in Their life who needs a loving home. I can't think of a higher honor for my legacy. I love hearing your story! I have said it before and I'll say it here again, I know I am a better person because of my dogs. They make me a better person. I felt the same way about my Zac. He came to me as a little scrap just as I was having major life changes and developing what was to be a chronic illness. I had no idea or I would never have got a puppy at that time. I struggled and he was there every step of the day driving me crazy to begin with! I know if he were able he'd be with me all the way, sadly it was not to be and his health broke down too soon. But..... he was there for me at the worst time and his fur absorbed a lot of tears. I'm in a better place now and I hope that he is too, waiting for us to be reunited.